Nature Magnified: Redefining Blackberry Hill to Star Hill! Redefining Blackberry Hill to Star Hill! I`ve just checked the ordnance survey map and discovered that Blackberry Hill is not actually Blackberry hill! 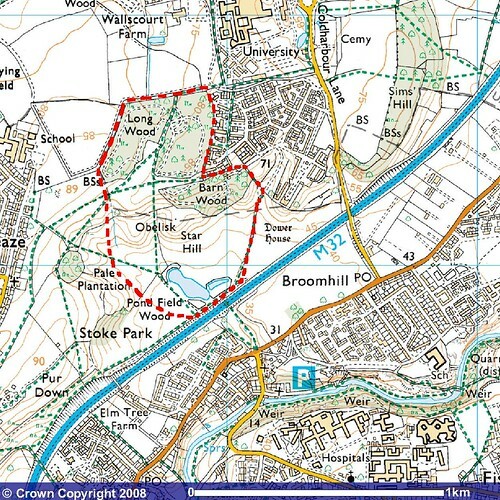 Technically, the area I birdwatch in is composed of Long Wood, Barn wood, Obelisk, Starhill and a bit of Pond Field wood (see map below). I would hence like to change my references to the area for the purpose of this blog. Henceforth I shall refer to what was formerly Blackberry Hill as Star Hill.